Veuve Clicquot once again celebrates the best female talent in business with the 2015 Business Woman Award. The award is a tribute to Madame Clicquot, “la Grande Dame de Champagne”, who built up Clicquot into one of the world’s most renowned Champagne houses. A pioneer in the business world, Madame Clicquot was just 27 when she took over as head of the House founded by her husband’s family after he passed away and proceeded to revolutionize the world of champagne. Created in 1972 as a tribute to her remarkable accomplishments, the Veuve Clicquot Business Woman Award recognizes the enterprising spirit, bold vision and creativity of exceptional women. The 44th edition of this prestigious award has been given to Stéphanie Wismer Cassin. An entrepreneur since she was 23, the CEO of Jador Group put corporate social responsibility at the heart of her latest initiative, Biilink, a social network that supports enterprising women. The digital platform has rapidly transformed ideas into tangible value, becoming a full-fledged agency offering an array of tools and consulting services. 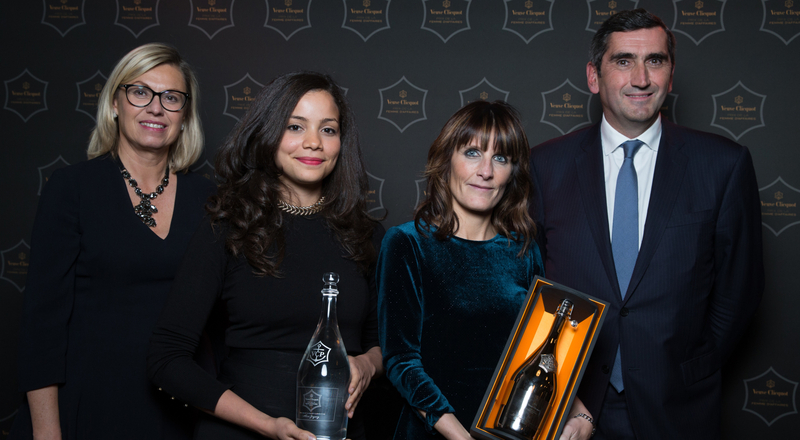 Created in 2014, the Prix Clémentine “New Generation Award”, named after Madame Clicquot’s daughter, recognizes women who embody the coming generation of exceptional business women. This year’s winner is Alice Zagury, co-founder of The Family, a venture capital firm that helps young start-ups grow in international markets.